US authorities have mounted a massive search for Sol Pais, 18, who travelled from Florida to Colorado where she bought a pump-action shotgun and ammunition and was last seen in the foothills around Denver. “She is armed and considered to be extremely dangerous,” the Jefferson County sheriff’s office said. Pais was not even born when two Columbine students launched their attack with an assortment of guns and bags-full of pipe bombs, killing 12 fellow students and a teacher before taking their own lives. Security fears have soared because Saturday is the 20th anniversary of what at the time was the deadliest school shooting in US history, setting off an era of mass shootings in US schools and other public venues. That was a step up from Tuesday when it put Denver area schools on lockdown following an alert from the FBI and increased security. Authorities have posted pictures of Pais, her unsmiling visage framed by shoulder-length brown hair. She was described as five foot, five inches (1.65 meters) tall, and last seen wearing a black T-shirt, camouflage pants and black boots. Dean Phillips, the special agent in charge of the FBI’s Denver office, said Pais had made comments in the past that expressed “an infatuation” with the Columbine massacre and its perpetrators. 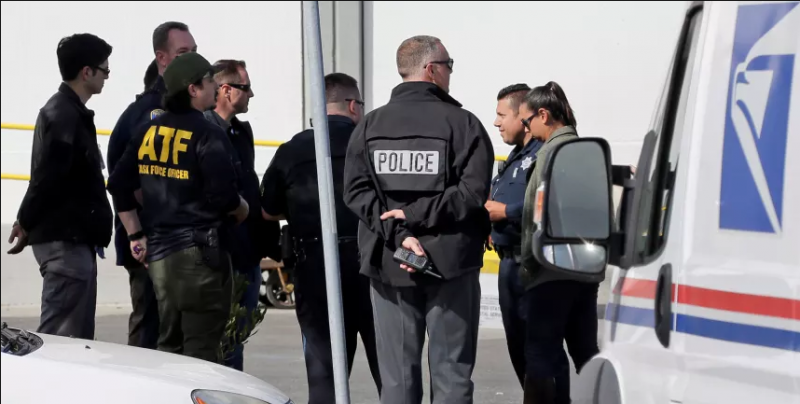 Concern mounted after investigators learned that upon her arrival at Denver’s international airport from Miami on Monday, Pais went to a store where she bought a pump-action shotgun and some ammunition. She was last seen on Monday night in the foothill areas around Denver, he said. “We have been trying to find her ever since,” Phillips told a news conference late Tuesday in Denver. He said Pais was considered a “credible threat” but noted the FBI had no information of a specific threat either to Columbine or any other school. “She has had an infatuation with Columbine, with the perpetrators of Columbine, she has made comments to that effect, but she hasn’t identified a specific threat to a specific school,” Phillips said. The Miami Herald reported that Pais lived in Surfside, Florida and that her parents had reported her missing Monday night. Every law enforcement agency in the state is taking part in the hunt for the teen, and investigators are chasing down “a significant number of leads to identify and locate Ms Pais,” Phillips said. Columbine has since been followed by even deadlier school shootings — at Virginia Tech in Blacksburg, Virginia in April 2007; Sandy Hook Elementary School in Newton, Connecticut December 2012; and Marjory Stoneman Douglas High School in Parkland, Florida in February 2018.